Gad is back with his new show: The Dream Tour. 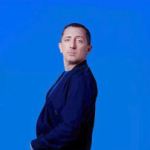 Nearly three years after his last tour, French-Moroccan comedian Gad Elmaleh continues to make people laugh. Gad, who settled in New York to try his hand at having an American career, is on his international tour (in English) with performances in several cities around the world including London. He calls his tour the “Dream Tour,” alluding to the sentiment that his dreams are coming true, as expressed on his latest Instagram post. He’ll perform in eleven different countries. Between the tour and a Netflix series, one that is inspired by his experience as a French celebrity facing anonymity in the US, 2018 is certain to be a busy year for Gad. Please note the show will be performed in English.